Chocolate is always a big hit in my family at Christmas, well, any time of the year to be honest! 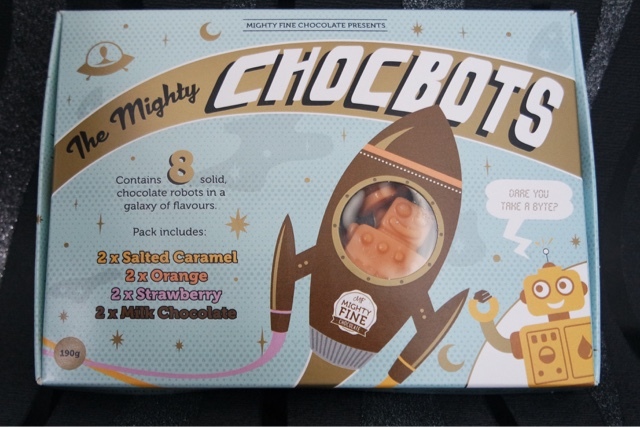 This awesome box contains 8 chocolates in a variety of flavours, shaped like robots. They are so yummy, I LOVE the orange one best and they are great for all ages. I had never seen anything like these before and they are so cool! 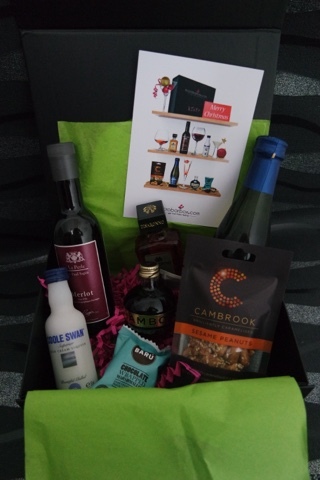 This awesome box contains everything you need to make cocktails at home, it is a great idea for something to do with friends or family. It includes a recipe card so you can make your own drink, even though I am sure you can tweak it slightly! I prefer cocktails not too strong but someone else may want it a bit stronger 🙂 They have lots of different ones and the mojito one looks so good! 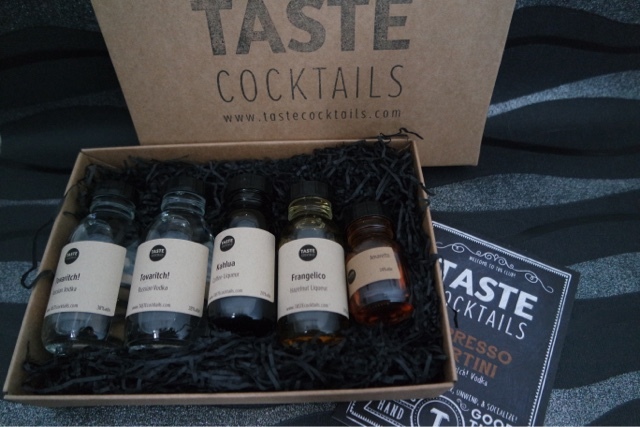 The Microbarbox is exactly what you expect, a bar in a box! You can buy one off boxes from them or a monthly subscription. This one is the Christmas box. It contains : 50ml Disaronno Amaretto, 187ml La Perle Merlot Red Wine, 50ml Coole Swan Irish Cream Liqueur, 200ml Le Contesse prosecco, 50ml Chambord Black Raspberry Liqueur, 45g Cambrook Caramelised Sesame Peanuts, 15g Barü marshmallow. This is a great idea for anyone that likes alcohol and snacks 🙂 I don’t drink a lot so this is ideal as it contains small bottles and it was great to share with my other half as it has a variety of drinks (I like spirits and he will drink the wine). I love the cute snacks too!